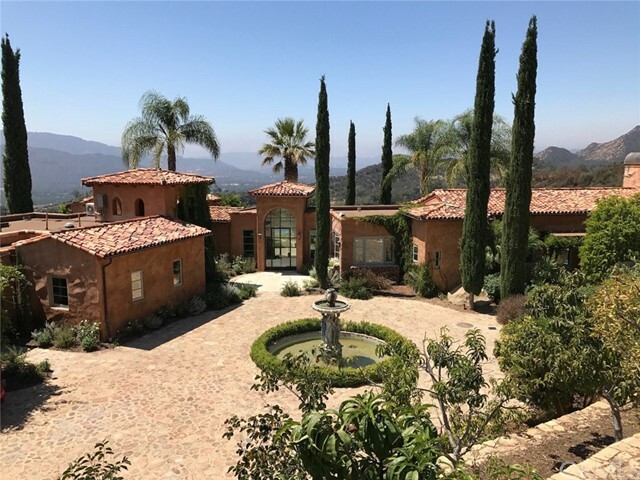 All Ojai homes currently listed for sale in Ojai as of 04/26/2019 are shown below. You can change the search criteria at any time by pressing the 'Change Search' button below. "First time on the market in almost 50 years ~ this East End heritage property Bella Vista Ranch encompasses over 19 acres on 2 parcels and includes a turn of the century main house as well as a farmhouse from the mid-1800s. From the idyllic stone entry, lined with citrus and ancient oaks, the property welcomes you to step back in time and savor the peace and solitude of ranch living, with incredible uninterrupted views of the valley floor and majestic mountains in all directions. The perfect sanctuary for your weekend getaway or full time living, the main house features a lovely wraparound porch with pristine hardwood floors, an open plan living room with fireplace and multiple seating areas, 4 bedrooms plus office, 4 baths, an inviting pool and separate bonus room connected to the 3-car garage, plus a lath house for your garden. The 1850s farmhouse has a separate entrance and both homes are afforded complete privacy from each other. The charming farmhouse has three bedrooms, two baths, 4 fireplaces and its own cozy front porch looking out to the orchards and mountains beyond, as well as a barn and shop. The 19 acres are rounded out with orchards of citrus and avocado trees. The main house, sitting on 2.77 acres, is also available for sale separately." "First time on the market in almost 50 years ~ this East End heritage property ''Bella Vista Ranch'' features a turn of the century home set on 2.77 acres. 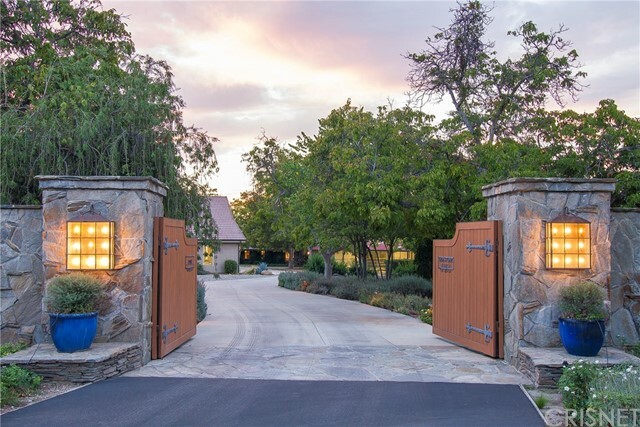 From the idyllic stone entry, lined with citrus and ancient oaks, the property welcomes you to step back in time and savor the peace and solitude of ranch living, with incredible uninterrupted views of the valley floor and majestic mountains in all directions. The perfect sanctuary for your weekend getaway or full time living, the home features a lovely wraparound porch with pristine hardwood floors, an open plan living room with fireplace and multiple seating areas, 4 bedrooms plus office, 4 baths, an inviting pool and separate bonus room connected to the 3-car garage, a lath house for your garden plus a private citrus and avocado orchard. An additional 16.26 acres with farmhouse, barn and shop are also available for sale in combination. Capture a lifetime of memories and beautiful views at Bella Vista!" "This custom home near downtown Ojai exudes traditional charm with a wrap-around porch, formal entry, brick fireplace, wainscoting, crown molding, built-ins, formal living and dining rooms, butler's pantry, and four bedrooms - each with walk-in closet and en suite bathroom. It is clear as you meander through this exceptional home that every detail was attended to, including designing elegant spaces both for entertaining and for comfortable everyday living. The large kitchen with two islands, two pantries, breakfast bar, breakfast nook and a desk for managing the household is ideal for someone who loves to cook, while the covered patio is perfect for outdoor living and entertaining. Gorgeous mountain and valley views stretch to the East End, and you are only about a 10-minute bike ride from the weekly farmers market, shops, restaurants and activities in the downtown village. This stunning home offers much too much to list, so call now to schedule a tour to see all this home has to offer."